Are you looking to having a straighter smile? Invisalign® may be the perfect option for you! Invisalign® is an orthodontic treatment that uses plastic and clear aligners instead of traditional metal braces to straighten your teeth. 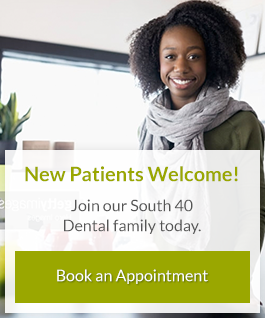 South 40 Dental is a proud provider of Invisalign in Grande Prairie. Invisalign® is a new system of straightening teeth without the use of conventional braces. A series of clear plastic aligners are utilized to create tooth movement. Invisalign® is recommended for orthodontic situations with mild to moderate spacing or crowding. They are a clear solution for patients looking to straighten their teeth without the use of braces. For an Invisalign consultation, contact our office today.